As a book-nerd and a writer (as many of us literature lovers are), I can’t tell you how excited I would be to receive a journal personally designed for me. I’ve bought plenty of cute journals as gifts and written nice little notes on the first page, but the ideas for this one are endless: Different papers tailored to their favorite colors, favorite quotes written sporadically throughout, pictures from your memories together. ; Anything goes! Pinterest has plenty of great tutorials. The beautiful thing about bookends is that they can be anything (and anything can be them)! That makes this DIY gift completely personalizable. If the possibilities are too open-ended for you, here is a list of over 20 eye-catching, unique suggestions. I’m not sure how I had never seen these before, but they are definitely my new go-to gift for fellow book-lovers. Mostly because, A) I recently had a wonderful time making my first one, B) I’m about to make my second and third (probably fourth and fifth, let’s be honest), C) I plan on giving these in lieu of real flowers from here on out in life, and D) It’s a beautiful way to recycle books that have reached the end of their literary lives. Sure it’s standard, but it’s also an incredibly easy one for the craft-challenged among us. 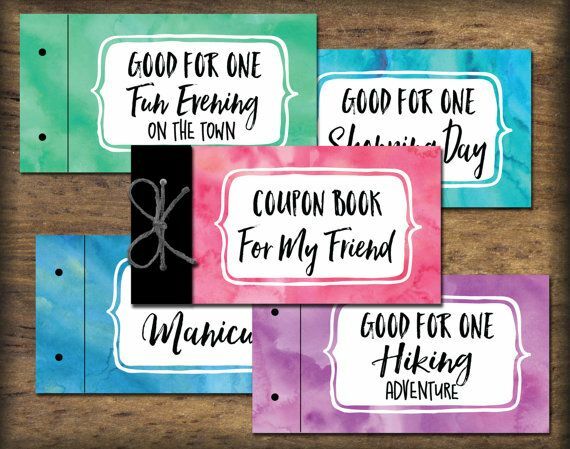 These are also quick enough to make a bunch as party favors or stocking stuffers. There are plenty of suggestions online, but you really can’t go wrong with these. 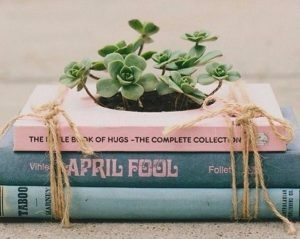 This is a creative way to recycled damaged books and make a DIY gift at the same time. Book Safes are simple to make and can be a wonderful gift for children or adults (come on, secret hiding places never lose their appeal). You can also fill them with other small goodies before you give it to your book-lover friend- for a present inside a present! Every book lover I know has an (almost) equal love of various beverages: coffee, tea, wine, the list goes on. Personally, I enjoy them all equally depending on the circumstances surrounding my quality time with my book. And that’s what makes these personalized coasters the perfect gift. If you happen to know your book lover’s favorite quote (or at least their favorite novel) this is an awesome idea for turning it into art. This website gives great directions on how to create wall-art that will surely make them smile every day. Depending how proud your book nerd buddy is, jewelry might be the perfect gift to help them shout their book nerdiness to the world. Etsy has a wide range of wearable literature for inspiration; (or to purchase– technically they were all DIY for someone, right?) necklaces, bracelets, earrings, and broaches can all be tailored to reflect any favorite novel. There are an abundance of lovely things, like these clock-shaped pendants that come with different bookish quotations and would make adorable necklaces.